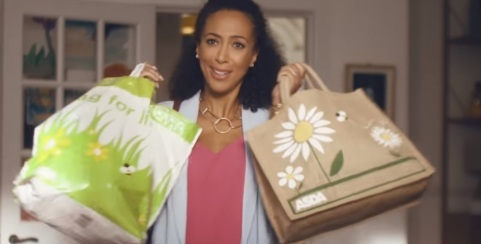 Asda has launched a new advert, inviting viewers to “Turn a weekday dinner into a winner”. “Weekdays can be mad. Dinner prep doesn’t have to be.” – the voiceover says at the beginning of the 30-second spot, dubbed “Weekday Winner”, which features a father of three at the kitchen table trying to help all his kids with various tasks and projects. When the mother shows up with shopping bags, the couple begin to pass to each other ingredients to prepare dinner, such as a whole chicken in a bag and sweet potatoes, connecting, at the same time, with the kids. “Hassle-free meals worth sitting down for. Turn the weekday dinner into a winner.” – the voiceover adds at the end of the spot, which shows the family having cake and lemonade for dessert. The soundtrack music is “Turn Up” by British rock band from Bath, Somerset (England) The Heavy, appearing on their 2016 album, “Hurt & the Merciless”. At the moment, Asda Butcher’s Selection Chicken, including the Simply Cook Piri Piri Spatchcook Chicken, Simply Cook Garlic & Herb Spatchcook Chicken, Garlic & Herb Whole Chicken in a Bag, is subject to the Rollback Event and you can get the products for £4.50 instead of £5.00.